With the release of the highly anticipated "Ghost in the Shell" movie, which is now available on Gear VR & Oculus Rift, we found out that many of our friends have no idea that they can watch movies on their VR headsets. We're about to share some quick tips with you about how to watch movies in VR! Before you begin, have in mind that watching movies in VR requires a bit of dedication, so if you have a short attention span, it probably won't be the best good idea for you. Watching anything in VR is immersive and isolates you completely from your surroundings, and you have to give your eyes some time to rest every once in a while. For example, it would be nice if you could take two breaks during a 90-minute movie. The best part of watching a movie in VR is that you can watch it alone in an empty theater and it won’t be weird at all. If you’re the kind of person that enjoys going to the cinema alone but hates the judging eyes of the people thinking you’re just a lonely person – watching in VR might be just the thing for you. What do you need to do that, though? First of all, you need a VR headset (duh!). There are plenty of options, the most common being Oculus Rift, HTC Vive, and Samsung Gear VR. We recommend using the Gear VR, and even though some of you may find this outrageous, we’re not talking about VR specs and muscles here, and we don’t say it’s the best headset. We do say, though, that it’s the most convenient and easy way to enjoy a movie in VR. Then, you’ll need an appropriate app. BigScreen Beta for Oculus Rift & HTC Vive looks like the way to go – it’s free, it mirrors your desktop, and gives you some neat options to play with. But if you take our advice and use the Gear VR, you’ll have some even better options, which are basically the reason we recommend it in this case. Gear VR has a built-in video app, Samsung VR app, and of course – you can download a Netflix app. That’s it, plain and simple! Download a movie on your Phone’s storage, watch it online in Netflix, lay back, choose the landscape you want to watch in, put on some good headphones or earbuds, adjust your screen, turn your notifications off and enjoy the experience! It will require some adjustments from you as watching in VR is nothing like just watching a movie on a TV, so give it some time. After that, who knows – it might become your new favorite way to enjoy movies. 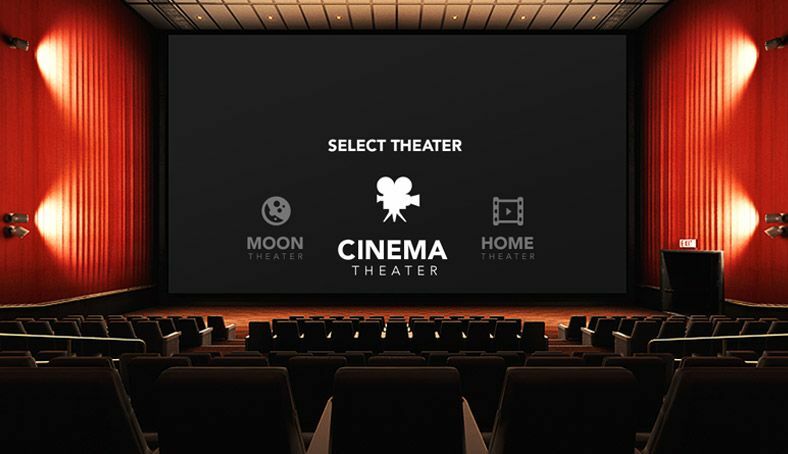 What's your favorite way to watch movies? Tell us here or on our Facebook page!